Prebook this Stutthof Museum and Memorial tour from Gdańsk, and guarantee your admission into the museum and memorial site. Ride comfortably from Gdańsk, and upon arrival, explore the grounds with a guide who tells you all about the seriousness of the WWII history. 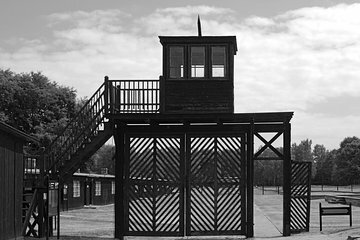 You’ll also get to watch a documentary film while you’re at Stutthof. Our tour guide was amazing. So good to have someone to guide us through the camp, taking time to answer any questions we had and working with us. He went above and beyond what we expected and made our time there very memorable. Thank you Adam!